Are “enhanced ebooks” the CD-Rom era all over again? Is this where I came in? In the early 1990s, the computer manufacturers and Microsoft were doing everything they could to persuade businesses and consumers that they really, really, really needed CD-Rom drives. That Microsoft would benefit from them was very clear; the software they were selling was taking more and more diskettes to deliver in those pre-broadband, pre-Web days when all software was “shrinkwrapped.” If computer owners could take their new software on CD-Roms, the cost of delivering the product would drop dramatically. Only a year or two before, Bob Stein had developed what we can now identify as the first “enhanced ebooks”. His company, Voyager, introduced the “Expanded Book”. These were the first efforts to use the book as the foundation to do something much more ambitious: linking in pictures and sound and video and databased information. No web links yet, because there was no web yet, but the Voyager Expanded Books really foresaw the possibilities. Microsoft encouraged publishers to build on the Voyager Expanded Books example with CD-Roms, and, indeed, the Voyager product itself moved quickly from a diskette-based product to a CD-Rom, which gave it a multiple of the digital space to add content. Publishers at that time had recent experience with new product forms. In the early 1980s, a few had experimented with software publishing, but that was quickly seen not to work and the publishers who tried it, like Wiley, pretty quickly got out. In the mid-1980s, audiobooks first came on the scene, however, and their acceptance, fueled by the ubiquity of tape players in cars and the relatively new Sony Walkman family of portable cassette players, was very rapid. With the encouragement of Microsoft and the hardware makers promising that all computers would soon have CD-Rom drives, many publishers jumped into what we can look back and see was an enhanced ebook business with both feet. It turns out they jumped into an empty swimming pool. Many legs were broken. The whole idea that people who wanted a cookbook needed video in the middle of the recipe or that people would “read” a book on a desktop computer because of sound effects in a CD-Rom version always seemed like a stretch to me. Sometime in the middle of the CD-Rom craze, I learned that McGraw-Hill had a big animal encylopedia on which something like 60% of the cost went into the sound. This was for a high-priced professional product. This made no intuitive sense. It wasn’t placing the investment where I thought anybody would find the value. What seemed more likely to work to me at that time was to just put the book on a diskette (they were still much more common then than CD-Rom drives) to allow one to just read it on their laptop. The writer and enrepreneur Po Bronson might not remember this, but he and I discussed that idea at great length at the time. Meanwhile, I predicted in 1995 and 1996 that CD-Roms were going nowhere, that the “action” for book publishers would be online, and that the first important thing that would happen online would be increased sales of plain old printed books, all of which turned out to be utterly correct. Now, as Yogi Berra allegedly once said, we have deja vu all over again. In the later 1990s, the simple ebook delivery I imagined happened through online distribution, not diskettes. The devices of choice were plain old PCs (mostly reading PDFs) and handheld PDAs, reading the Palm Digital format, Microsoft’s new “dot lit” format (remember how revolutionary that was supposed to be when it first came out! ), and then Mobipocket which, until Amazon bought them and largely buried them, was going to be the cross-platform standard. Now that I had what I wanted, I was a happy guy. I started reading ebooks predominantly and I went out on the prediction limb again. I figured that PDA-reading would become widespread, and quickly. Talk about jumping into an empty pool! Still, ebooks just didn’t happen. I couldn’t understand it. A lot of people told me the problem was that ebooks didn’t really do anything that couldn’t be done with plain old print books. They didn’t take advantage of the opportunities afforded by digital books. No video. No audio. No web links. That didn’t seem like the answer to me. I remembered the CD-Rom fiasco. Then Kindle came along. On the one hand, it proved me wrong because here was a device that had to be carried around (like a book) and didn’t do anything for you except let you read a book. On the other hand, Kindles sold well (particularly considering Amazon was the only place to get one) and, more important, Kindles sparked an explosion of interest in and uptake of ebooks. And that, I thought, proved that “just the book” was enough for many people to have a satisfying ebook experience. But now it looks like market forces are going to tempt publishers to invest in enhanced ebooks all over again. We are awash in news of new ebook readers — meaning both software that can play on PCs, netbooks, iPhones, or various more dedicated devices and a slew of those more dedicated devices to choose from. So people are going to be reading books on devices that can do a lot more than a Kindle or Sony Reader can do. Two other things happening at the same time also push for more complex ebooks. One is that the tool sets to deliver them — and even to allow any author working with a bright young person alongside of them to deliver them — are getting more ubiquitous. 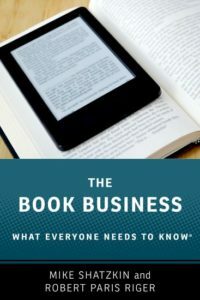 And the other is that publishers think they see a connection between more complex ebooks and higher-priced ebooks, and that makes them very interested in exploring the subject. A lot has changed in the past 15 years since the CD-Rom era. I am not in any way suggesting that the CD-Rom disaster of the mid-1990s will be repeated in the enhanced ebook era we are heading to now. But nobody figured out what compelling consumer product could be made from a book with lots of digital space to play with then and we’d be kidding ourselves to think anybody’s figured it out now either. There will be a lot of trial and error work done by the industry in the next couple of years trying to find the book-into-something-better formula that works artistically, functionally, and commercially. The answers are by no means self-evident. One cautionary tale from the CD-Rom era. One of the first big successes on CD-Rom was issued by Simon & Schuster and based on StarTrek. In retrospect, we can see that StarTrek was the “perfect subject”: the one thing that would work with early-adapting techie geeks even if nothing else would. Unfortunately, S&S read the StarTrek success as an endorsement of the CD-Rom product idea and rapidly expanded their new media division to do more titles. Nothing else came close to matching StarTrek’s success.